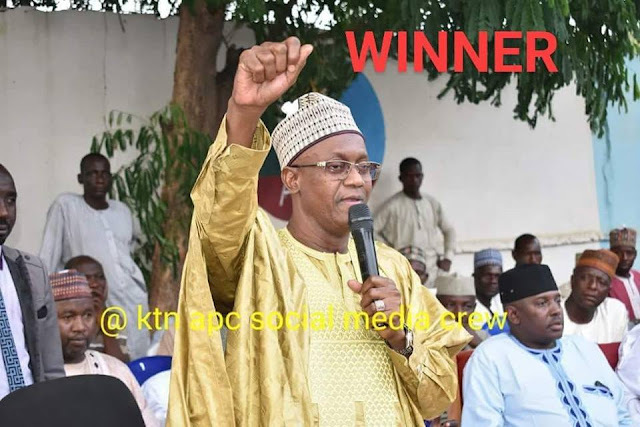 Engr Kabir Abdullahi Barkiya has emerged as the winner of Katsina central APC primary election that was conducted yesterday at Muhammadu Dikko stadium. Barkiya who defeated the incumbent Senator Umaru Kurfi and two others namely Senator Ida & Col. Abdulaziz Yar’adua. "KATSINA CENTRAL SENATORIAL APC PRIMARY ELECTION RESULT 2018"